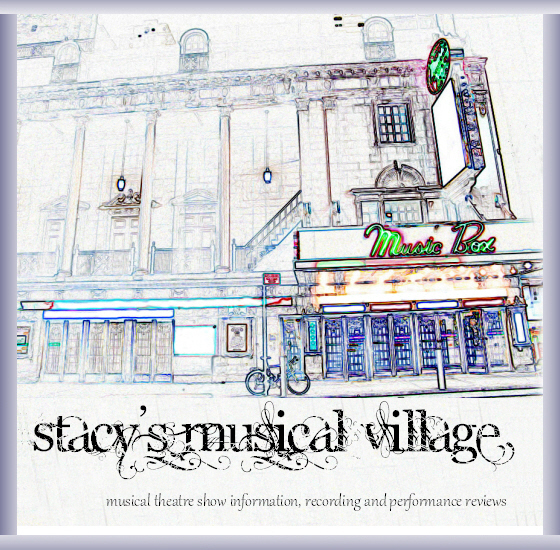 After 20 amazing years of Stacy's Musical Village, I have decided to retire this website. It was wonderful to share my love of theatre with all of you, and to redevelop the site again and again as the internet became ever more sophisticated. But, as many of you will surely have noticed, I have not had the time lately to keep the site updated, and most of the information contained here is also easy to find in other places online. I would like to sincerely thank everyone who has made this hobby such a pleasure, including everyone who contributed to the site, the lovely folks on the message board, and all the creative types and performers who made writing about each show and performance such a joy. My best wishes to all my site visitors, and, as they say on the Tonys - go and see a Broadway show! !